When you’re trying to envision how your little tyke is going to match up in the urban jungle, we know that you have some pretty high aspirations. Many of you are imagining all sorts of powerful positions. Of course, there are the lions: mighty kings of the jungle, ready to roar out commands and demand that they’re followed. The problem with lions is that there can only be one king and, if we’ve learned anything from some of our favorite jungle documentaries, there’s always a nasty lion ready to team up with some mangy canines from the darker side of the animal kingdom if it means taking over. Plus, lions are always whining about little thorns in their paws, and we don’t want to add to your parental stress with that kind of a career obstacle. So, some think about a few of the others in the kingdom. Tigers, bears… oh, my, there are a lot of intriguing options. But, they’re all just a little short-sighted. They’re so focused on their own little corners of the kingdom that they never see where the brightest grass really is. That’s where we came upon some of the most insightful of all in the animal kingdom. 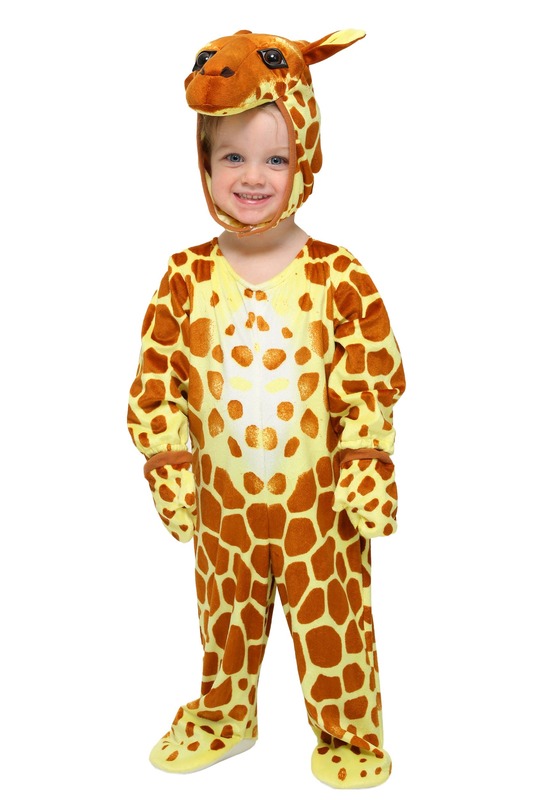 The giraffe. With that elegant and powerfully long neck, this artiriodact is never surprised by what is coming on the horizon, because it saw it coming leagues before anyone else! 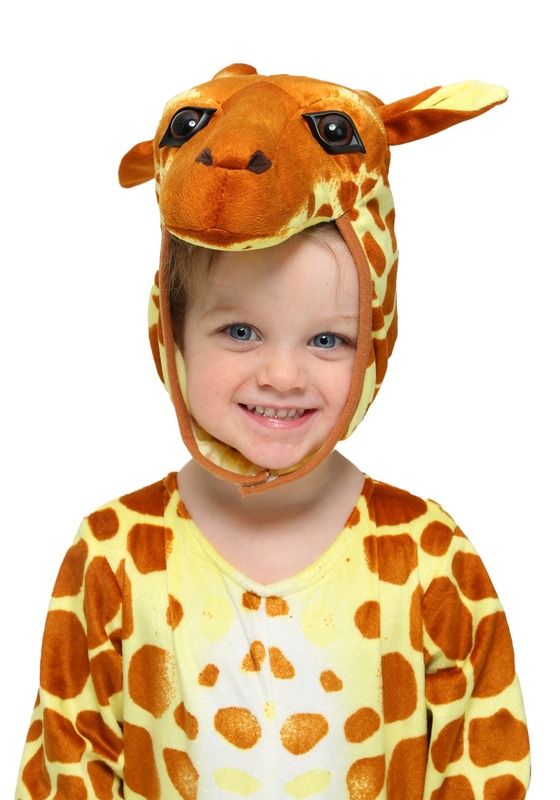 Now you can have your kiddo prepped for the glorious and strange world ahead by offering a transformation into the mighty and tallest of mammals with this Infant/Toddler Giraffe Costume. 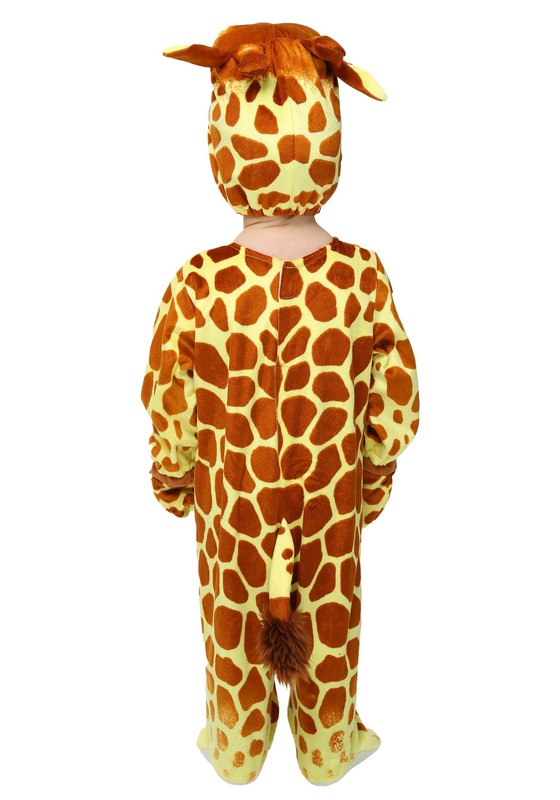 Comfy polyester velour and faux fur combines with Velcro in the back to form a giraffe print jumpsuit including elastic mitts and either footies for your babes or shoe covers if your tykes are already roaming the jungles. Your kiddo might not immediately be the tallest giraffe in the world and might still need your help to reach the cookie jar—which might actually be a good idea—but they’ll no doubt be ready to grow big and tall in your own local urban jungle.